After a spot of lunch, we got straight down to business and visited the castle's view point. Climbing what felt like hundreds of steps to get up there, the view from the top was magnificent and confirmed to us how beautiful the city is. The sun was shining, and we couldn't think of a better way to start our time here. Unfortunately we didn't go into the castle - we were just happy admiring from the outside and everything else that was around us. Going back down the steps was obviously so much easier, and led us straight on to the next stop on the tourist trail... Charles Bridge. With watching so many vlogs and reading so many blogs leading up to our visit, we knew coming here was a must. It certainly didn't disappoint, again the views were so great, even if it did randomly decide to rain at this point. We even spotted the pedal boats which we've decided to do in the next couple of days. If you've read or watched our experience with pedal boats in Amsterdam, you'll know that's particularly brave! The architecture in Prague always amazes me - it's stunning! It's definitely a place I'd love to go. One thing I'm surprised about on your travels so far is that the train journeys are so much shorter than I'd expect - it takes the same time to get from one country to another as it does to get across the UK! The castle was so big, definitely worth visiting and spending the day in! Wow all those stairs!! No wonder you were tired when you got to the top! Prague is such a beautiful city, it's been on my bucket list to visit for ages! Pedal boats would be a fab way to explore too, I hope you get the chance to try them out! Wow! I agree with the ladies - that journey time is impressive! 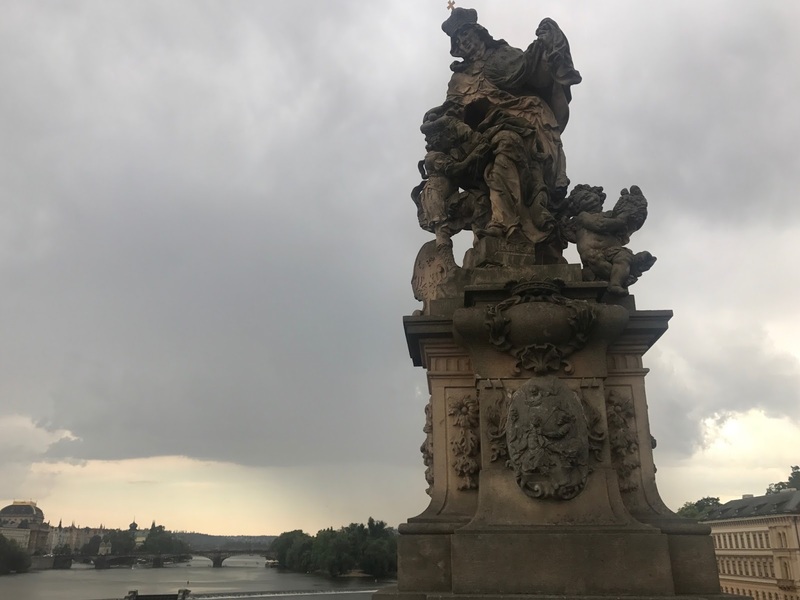 This post is giving me major wanderlust; like Abbey I've always wanted to head to Prague and your pictures have only made it work its way higher up my 'Places to go ASAP!' list :-) you guys look so adorable together too! We would highly recommend visiting Prague to anyone, it's such a great city! Definitely push it up in your list! It's a beautiful city and I hope you do! What amazing views in Prague!!! Its so beautiful, I wasn't even aware!! The castle looks magnificent I wouldn't have minded admiring from the outside either!! Love the photos again as usual, you guys are making some awesome memories!! Prague is absolutely stunning! The city, the buildings! Everything!